Lorde and Harry Styles made headlines for their jaw-dropping performances and for the beginning of a fabulous friendship at the 2017 Australian Recording Industry Association Music Awards today (November 28). The international acts performed alongside some of Australia’s biggest stars including Amy Shark, Gang of Youths, Jessica Mauboy and Peking Duk and created some memorable moments. The New Zealander took the stage to perform a Melodrama medley. It was her first set at an awards show since she danced to “Homemade Dynamite” at the 2017 MTV Video Music Awards after being diagnosed with the flu. Dressed in a simple white gown, she opened with her soulful ballad “Liability” before transitioning into the project’s lead single “Green Light.” Her vocals were particularly strong, and the number was visually thrilling as she performed the explosive anthem in front of a bold light show. Although she was competing for the title of Best International Artist, the honor was bestowed to Harry. The former One Directioner made it clear that there was no bad blood between the pair by stopping by Lorde’s seat for a quick embrace on the way to collect his trophy. This will hopefully signify the beginning of a new celebrity friendship, and it already sent fans of both acts into a collective tailspin on Twitter. Harry also delivered a rocking rendition of his current single, “Kiwi.” The pop rocker was joined by a full band and dazzled in a sparkling suit. He kept things fairly stripped back, opting to focus on his sublime vocal performance. Watch Harry’s performance below and Lorde’s up top! When Ed Sheeran mentioned that he would be «Despacito»-ing his track «Perfect,» he really should have replaced it with «Mi Gente»-ing. Early Thursday (Nov. 30) Sheeran confirmed that the secret star he collaborated on the remix of that particular ÷ track is none other than Beyoncé. «Perfect» ft. Beyoncé is scheduled to be released tonight at 7 p.m. ET. Prep yourself and give the original track another spin, below. Will Louis Tomlinson’s Solo Career Finally Take Off With “Miss You”? Louis Tomlinson is releasing a new single called “Miss You” on Friday (December 1). He shared the cover on Instagram and it’s a fairly uneventful portrait against a red background. No doubt, the 25-year-old will be hoping to land a massive hit after his first couple of solo endeavors misfired — at least by the standards set by the other members of One Direction. His first solo outing came as the voice of Steve Aoki’s“Just Hold On,” a club banger that peaked outside the top 50 on the Billboard Hot 100. He then followed it up with “Back To You,” a mellow, semi-acoustic collaboration with Bebe Rexha. 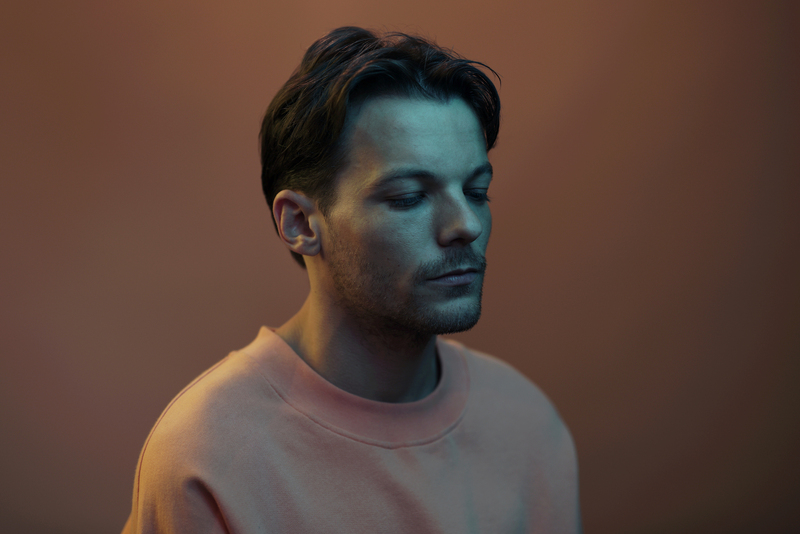 That track performed a little bit better (it peaked at number 40), but still didn’t set the charts alight like Zayn Malik’s “Pillowtalk” or Harry Styles’ “Sign Of The Times.” The issue seems to be Louis’ lack of identity as a solo artist. Is he a singer/songwriter like Niall Horan or a wannabe Justin Bieber like Liam Payne? Perhaps, we will find out with “Miss You.” See his announcement below. Hip hop and rap dominated music in 2017. That is increasingly evident based on the nominations for the 2018 Grammy Awards. Released today (November 28), the list features a slew of talented hitmakers from a variety of genres. However, rappers are leading the way. Last year Beyonce led the field of nominees, and she has handed the honor over to her husband, Jay-Z. The 4:44 rapper scooped up 8 nominations and is competing in some of the major categories including Record of the Year, Album of the Year and Song of the Year. After another massive year, Kendrick Lamar trails close behind with 7 nominations for DAMN. and “Humble.” The pair are competing against Luis Fonsi, Daddy Yankeeand Justin Bieber’s inescapable “Despacito” as well as Bruno Mars’ “24K Magic”and Childish Gambino’s “Redbone” for Record of the Year. Julia Michaels has received a handful of nominations as well. The “Issues” superstar is up for Song of the Year with her solo debut and is competing for the title of Best New Artist. There she faces stiff competition from Alessia Cara, Khalid, Lil Uzi Vert and SZA. 2017 has been a landmark year for Kesha. The Rainbow siren returned to music in the midst of a years-long battle for emancipation from a recording contract with Dr. Luke. Her first album since 2012’s Warrior resonated with positive energy and has received recognition in the Best Pop Vocal Album category. Lead single “Praying” is also competing for Best Pop Solo Performance. Although Reputation was released outside of the deadline for consideration for this year’s awards, Taylor Swift still managed to nab a country nomination. The hitmaker is up for Best Country Song after writing on Little Big Town’s “Better Man.” She already won a Country Music Association Award for the track and may add another Grammy to her list before sweeping in big in 2019. Other notable nominees include Pink, Kelly Clarkson, Lady Gaga, Lana Del Reyand The Chainsmokers. Who will take home the coveted awards? We will have to wait until January 28 to find out. Until then check out the full list of Grammy nominees below! Save the date, Lovatics! Beginning Friday (Dec. 1), you are cordially invited to Demi Lovato’s wedding — well, at least in the form of a music video. According to a faux wedding invitation tweeted by Lovato on Monday (Nov. 27), the video for her latest single «Tell Me You Love Me» is centered around the wedding of Demi and Jesse at 10 o’clock in the morning Eastern time. Along with these logistical details, Lovato posted a photo to Instagram this morning (Nov. 28) in which she makes for a stunning bride. «Tell Me You Love Me» is the title track of Lovato’s sixth studio album, which arrived on Sept. 29. Stream the album in full below. Pitbull and Fifth Harmony recently debuted their catchy collaboration, “Por Favor,” at the Latin American Music Awards. Since then, Mr. Worldwide and the ladies have promoted it with appearances on Dancing With The Stars and TRL. With Latin music taking over pop radio courtesy of massive crossover hits like “Despacito” and “Mi Gente,” the song feels perfectly timed. The video dropped today (November 27) and instead on capitalizing on the track’s Latin sound, it opts for an Asian twist. The visual finds Pitbull on a date with a sword-wielding femme fatale in a Japanese compound. Unfortunately, the rapper doesn’t really interact with Fifth Harmony. The girl group simply does their thing — serve looks and attitude — in a separate room. It has been a busy year for both artists. Pit dropped his 10th LP, Climate Change, and is gearing up to release a greatest hits on December 1 — complete with a new single called “Jungle.” As for 5H, they released their self-titled third LP (their first as a quartet) and began carving out solo careers with a string of one-off collaborations. Watch “Por Favor” up top. Who are these panelists? Music industry heavy-hitters Diddy, DJ Khaled, Meghan Trainor and Republic Records president Charlie Walk. I have talent show fatigue, but this concept sounds interesting. “Four finalists are named at the beginning of the series, with new contestants competing in subsequent weeks to take one of the coveted four spots,” is how Variety explains the latest addition to Fox’s line-up. This is a smart move for Fergie. One of the reasons Double Dutchess tanked was her low profile and nothing fixes that like prime-time TV. What appealed to him about the song? 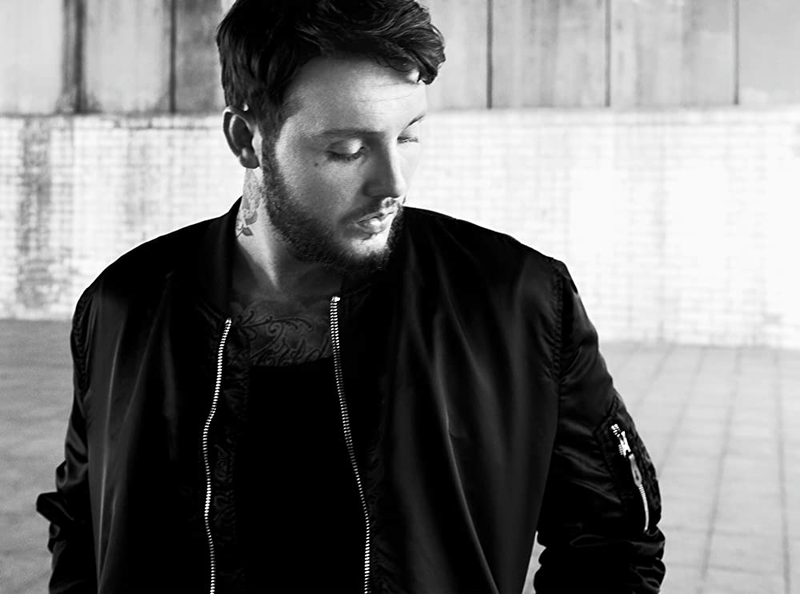 “The four chords that introduce the song are key, I think,” James explains. “Then you get the crescendo, the middle eight, the huge final chorus, but there’s no sense of overload; it stays true to the simplicity of those four chords. It’s like a hymn, that devotional aspect. The minute you hear those chords, you want to sing over them.” That might sound a little heavy, but “Naked” has the same innate pop sensibility that made “Say You Won’t Let Go” a massive worldwide hit. Listen to the track below. The British royal and the U.S. actress are engaged and will wed next year. It’s confirmed: Prince Harry and American actress Meghan Markle are set to get married. The news — which had been widely expected in the British press — was finally unveiled Monday by Clarence House, which manages the affairs of Prince Charles, Harry’s father. Markle, who currently stars in the legal drama Suits, first met Prince Harry through friends in July 2016. Their relationship only became public in early 2017, six months after they began dating. 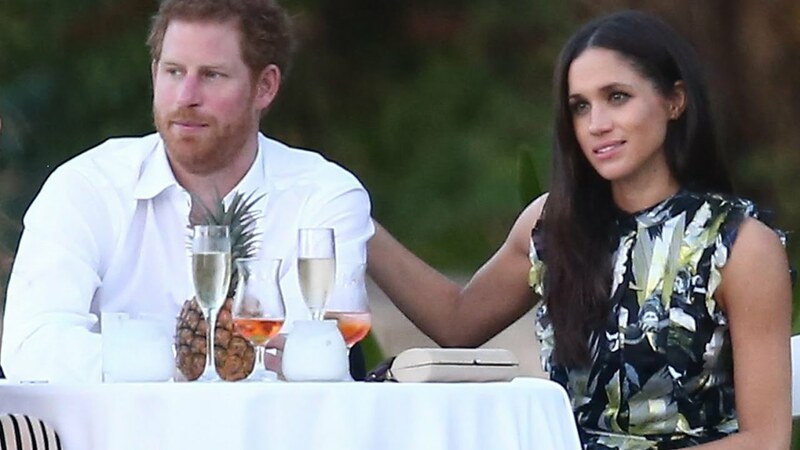 THRearlier this month broke the news that Markle was to exit Suits ahead of season 8, a move that added further fuel to rumors of a royal wedding. The Prince has quite a few months coming up, with it recently being revealed that he stars as a Stormtrooper alongside his brother Prince William in Star Wars: The Last Jedi. The couple made an appearance together shortly after the announcement (below).